There’s a lot of hype surrounding artificial intelligence (AI) and machine learning, but there’s no denying the technologies are going to shape the future of marketing. In fact, they’re already powering most of the tools we use today – even if we don’t realise it. Google, Facebook and just about every platform we use to connect with consumers are knee-deep in these technologies and the list of marketing AI tools is rapidly growing. Here are 21 Ai and machine learning tools you can try out today. Import.io allows you to import data from any web page, even if the data you’re after is hidden behind login forms or other elements. You can then compile this data into spreadsheets, visualisations or machine learning algorithms. With this data on your side, you can do anything from competitor price research to analysing all of your customer reviews to pinpoint the most important areas for improvement. A crazy amount of things are possible with Import.io so make sure this is one tool you take a look at. X.ai is a perfect example of how simple and effective artificial intelligence can be – a refreshing break from many platforms that try to do too much. With X you’re simply looking at an AI scheduler that genuinely makes arranging meetings and other appointments effortless. 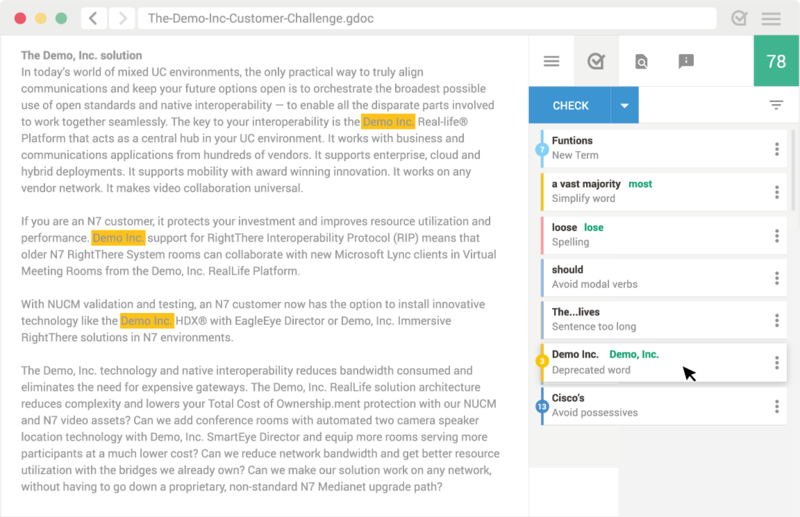 Grammarly is another example of simple but effective AI – this time in the form of an intelligent proofreading tool. It’s not going to catch all of your writing errors but it’s an impressive piece of software and its integration with apps and browsers is incredible. It will flag up your typos as you write emails and blog posts in the browser and compile reports of your most common mistakes so you naturally become a better writer over time. Now we’re venturing into a more complex collection of AI tools, starting with Uberflip – an advanced content personalisation platform that helps you create unique experiences for each customer. Content personalisation remains one of the biggest challenges for brands and Uberflip makes it easier to execute at scale for enterprise brands with a large, diverse audience to work with. Before you can personalise content, you need to be able to create it and Acrolinx helps you create highly-effective content at scale. Acrolinx claims to be the only software platform that can “read” your content, thanks to its advanced artificial intelligence engine that assesses your content, grades it and guides you to creating better content. Xia by Unmetric takes a different approach by helping you to analyse the content of other brands and discover new content ideas an opportunities. Xia will unlock the secrets of other brands’ content marketing success and point you in the direction of what kind of content should get similar results for your own business. 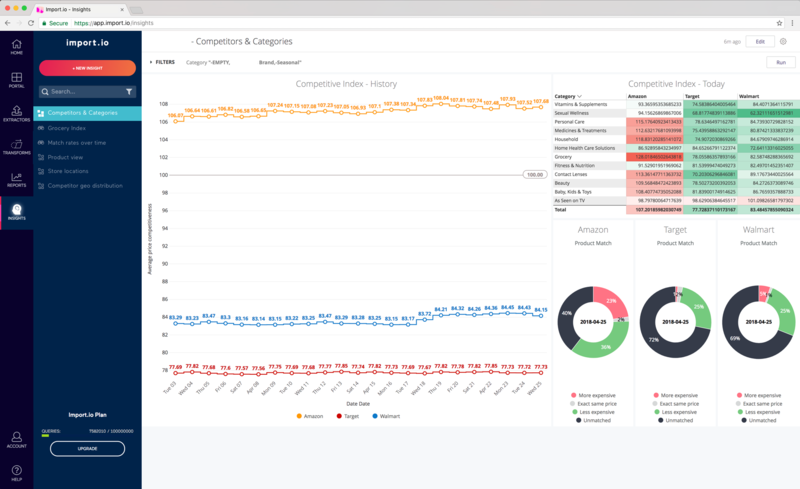 Cortex also offers competitor content analysis but the focus here is on their social media efforts. 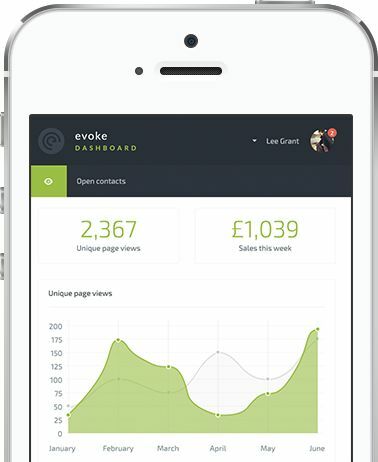 Once you’ve analysed your rivals’ social efforts the platform will help you create better content for your own strategy, optimised for your target audiences with its AI insights. Next, Cortex will decide when the most effective time to publish your posts is and schedule everything for you as it continues to assess your competitors and unveil new insights. Creating better content is going to help you generate more leads and a better quality of prospects but you still need to turn them into sales. 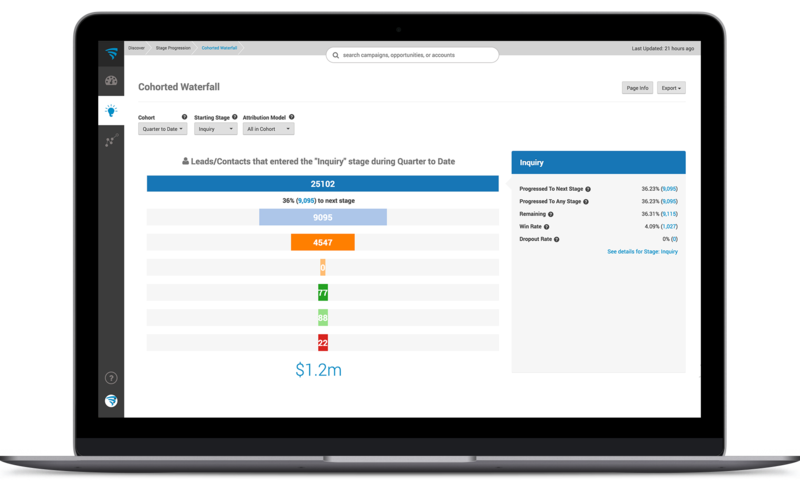 This is where BrightFunnel wants to help by using its artificial intelligence to help you optimise your sales funnels, meaning you turn more of those hard-earned leads into easier-earned customers. 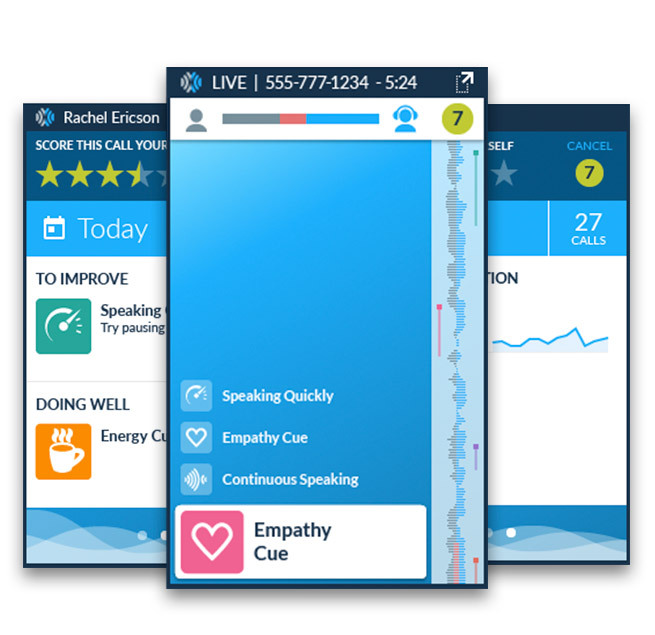 Cogito is a real-time conversation analysis and guidance system that detects human signals in your customers’ speech and predicts what kind of reaction your sales and support teams should provide. The end goal is to empower your team with “emotional intelligence” so they know when to listen, when to take the lead and when to show empathy in interactions with your customers and leads. 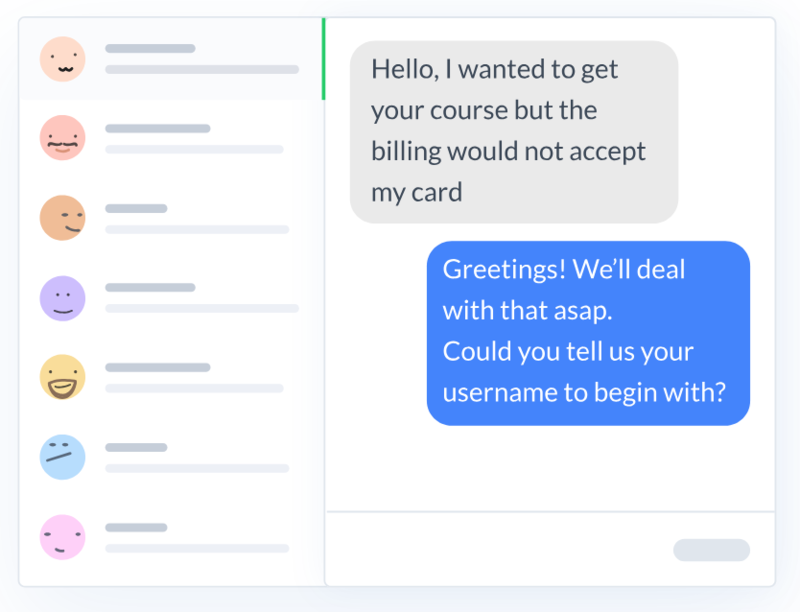 Tact.ai aims to fill the gap between human interactions with an AI sales assistant, so your sales teams can spend less time navigating inboxes and more time dealing with profitable leads. If you’ve ever found CRMs frustrating to use, you’ll be happy to hear Tact.ai is there to remove as much of the friction as possible. You can scan business cards to create new contacts, sync calls and meetings with Salesforce and handle just about everything from the mobile app. Integrations with SAlesforce and LinkedIn is perfectly seamless and the all-round user experience make sit painfully obvious that CRM platforms generally have a lot of catching up to do. With chatbots taking over more of the sales process for brands across every industry, the need to create bots on the fly is increasing. ManyChat makes it about as easy as it can be to create Facebook Messenger chatbots with the platform’s drag-and-drop builder. Forget about the coding implications of building a Facebook bot because ManyChat’s got you covered and it throws in some hefty analytics and automation features for good measure. Chatfuel also helps you create Facebook bots but there’s an even heavier emphasis on automating your inbox with this platform. 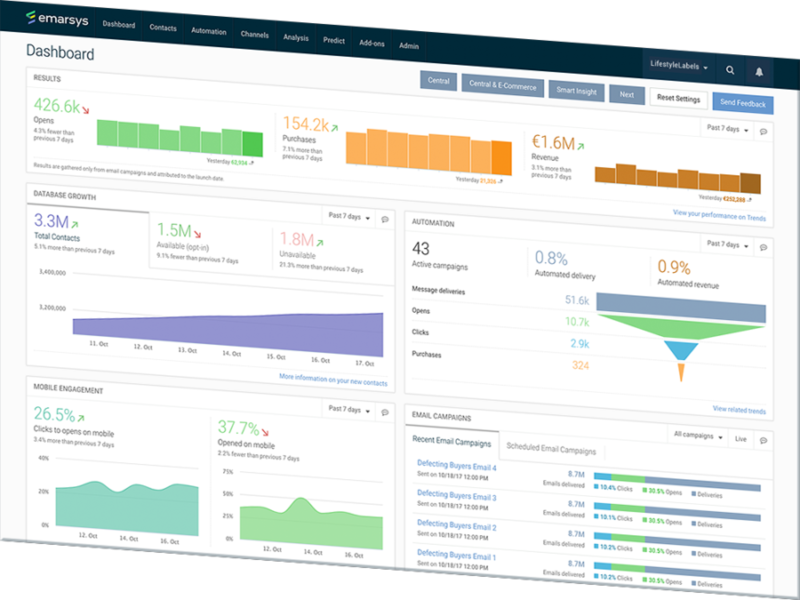 The goal is to automate as much of the conversations with your clients, customers and leads as possible until handing them over to your team members at the crucial moment. The end result should be a sales process that’s able to handle a significantly large volume of customers without the cost of expanding your team. Aizimov is an interesting piece of AI software that scribbles custom, personalised messages on your behalf. 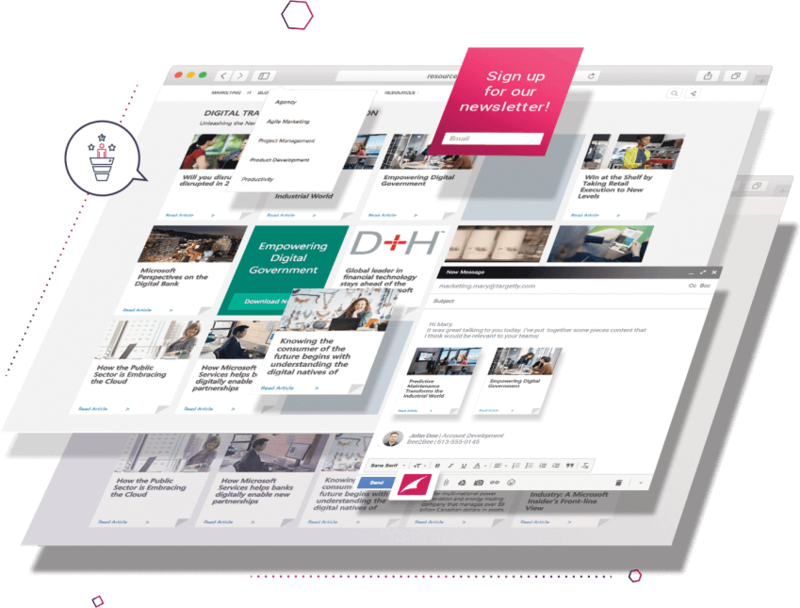 The platform scrapes information from the web (mostly form social media, news sources and financial transcripts) to create accurate emails and messages for each of your target audiences. IT’s AI system even analyses people’s psychological profile and takes this into account when it’s deciding what kind of message to create and how to word it. Not only that, but it chooses the best channel to contact each prospect (email, LinkedIn, Twitter, etc.) and when to reach out. 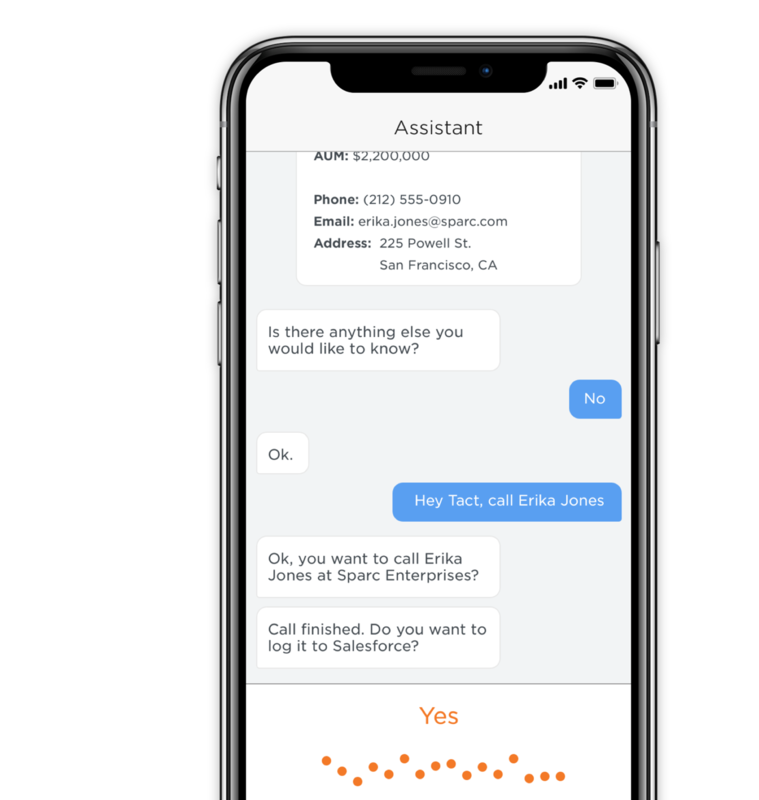 LivePerson takes artificial intelligence to the message apps your prospects are already using and creates a sales channel on the platforms they’re most comfortable with. Essentially, you’ve got AI-powered chatbots integrating with apps like WhatsApp, Line, Google Assistant and even your website – so you can have meaningful conversations wherever your prospects want to have them. Paid marketing has probably benefited from AI, machine learning and automation more than any other marketing strategy – purely because most of the workload involves crunching data, optimising settings and adjusting bids based on a variety of factors. This is where technologies like automation and machine learning shine, which is why Optmyzr is such an impressive tool. In fairness, it doesn’t do anything you can’t script into Google Ads yourself (assuming you’ve got the programming skills) but it makes essentials like bid adjustments, keyword management, A/B testing and other optimisations simple – without the programming requirements. Pathmatics takes the opposite approach to Optmyzr and focuses on analysing the advertising performance of your competitors. It offers dedicated AI implementations for business, advertising agencies, publishers and ad tech firms – all designed to unveil new opportunities based on the best performers in your industry. 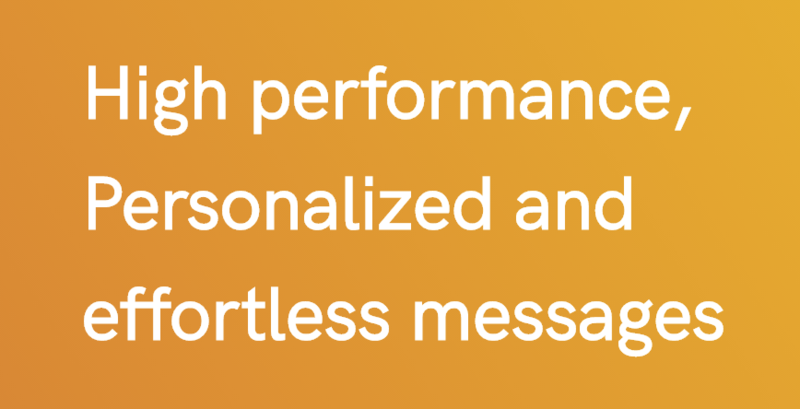 Cortex by Retention Science is an AI email marketing platform that constantly optimises its own automations for better results. 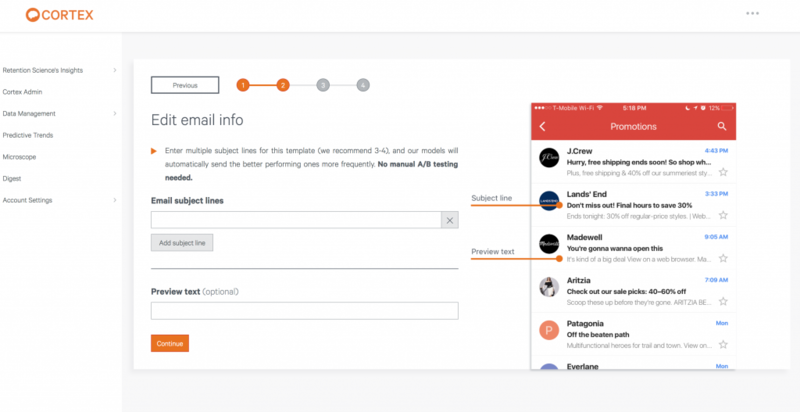 It refines your subject lines, discovers the best times to send emails to individual users, tracks user responses and then uses engagement data to create better campaigns all-year round. 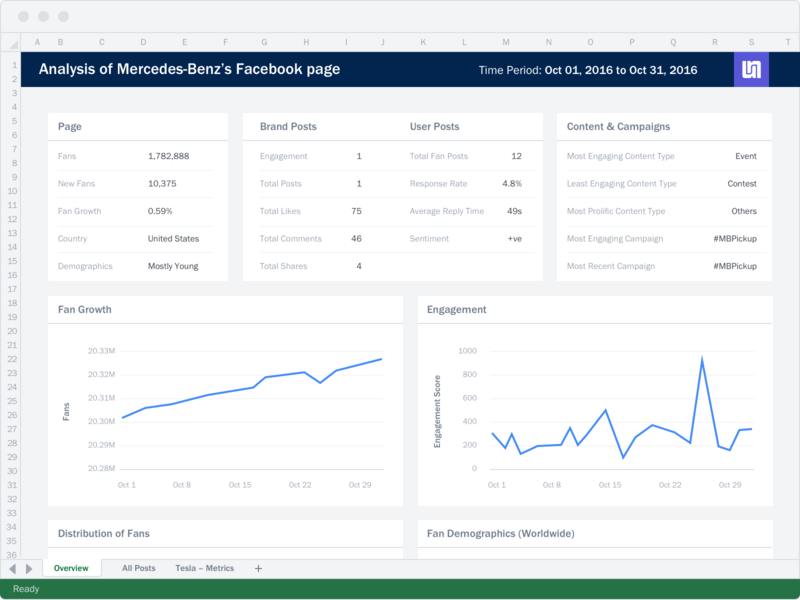 Sensai is an AI social marketing insights and recommendations platform that analyses the effectiveness of your social posts and guides you towards creating a strategy that hits bigger targets. 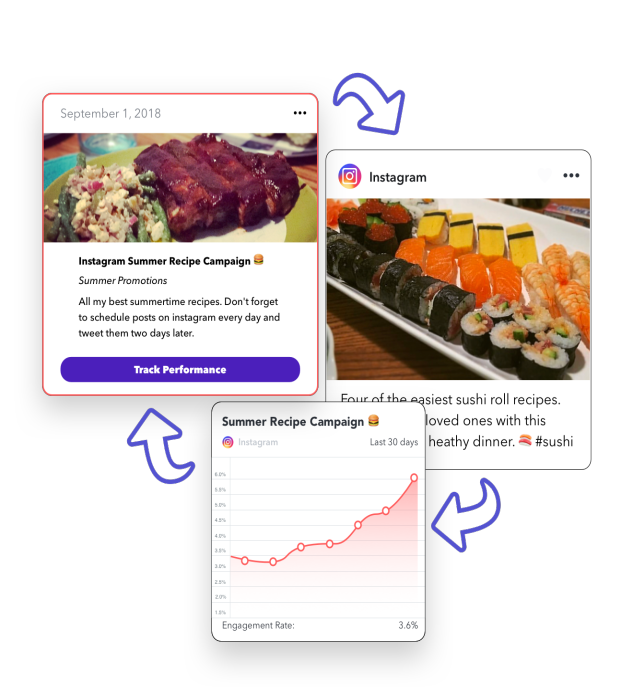 The mobile app puts a social media expert in your pocket, powered by detailed analytics and data-driven recommendations that help you pinpoint what to post and when. 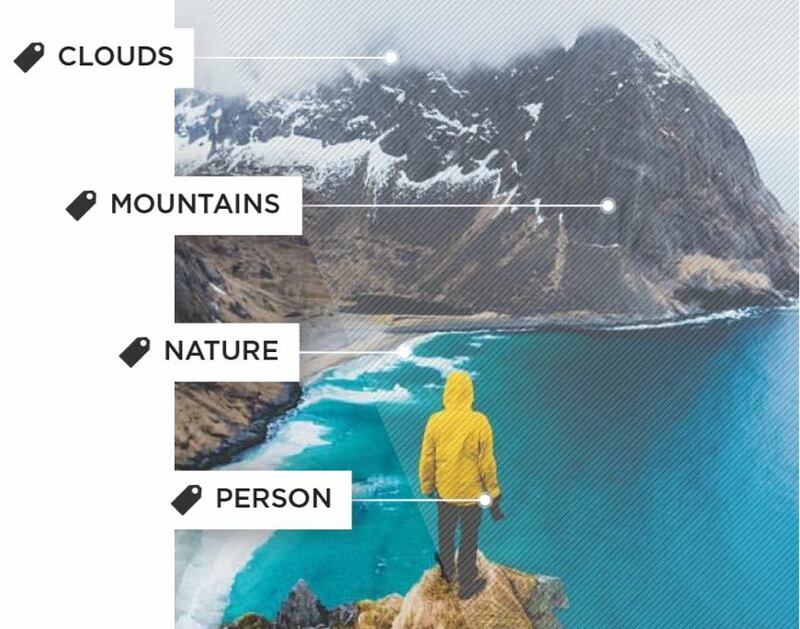 Visual content is crucial to just about any social media marketing campaign and Stackla helps you discover user-generated content (UGC) and turn it into content that really engages with people. Instead of creating corporate videos and images that reek of sales pitches, Slackla’s algorithms discover the content your target audience is already creating – and other members of the same audience are engaging with – so you can cut in on the action. GumGum offers a number of AI-powered features for marketers, advertisers, sports brands and other niches. On the advertising side of things, it uses to AI to analyse the images as well as the content of pages so you can choose relevant sites to place your display ads. While Google Ads allows you to target sites topically, it’s difficult to guarantee your ad message doesn’t conflict with the content. Imagine your ad for travel insurance showing on a news story about a plane crash. Ouch. 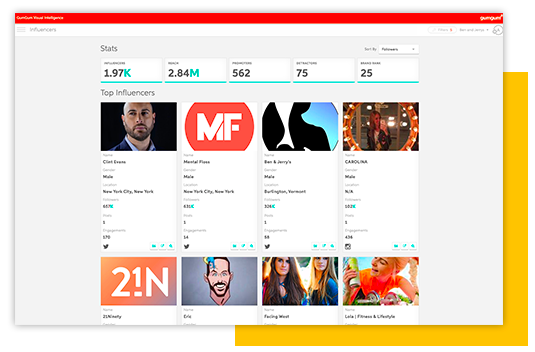 Then you have the social aspect, where GumGum analyses social content relevant to your brand and finds new spaces for you to get involved in the conversation. Emarsys is a fully-featured AI marketing system that promises to power your content, social, email, advertising and entire strategy with the latest technologies. We’re talking integrated personalisation across the board, sophisticated automations, predictive analytics and a single platform that streamlines your omnichannel marketing efforts. 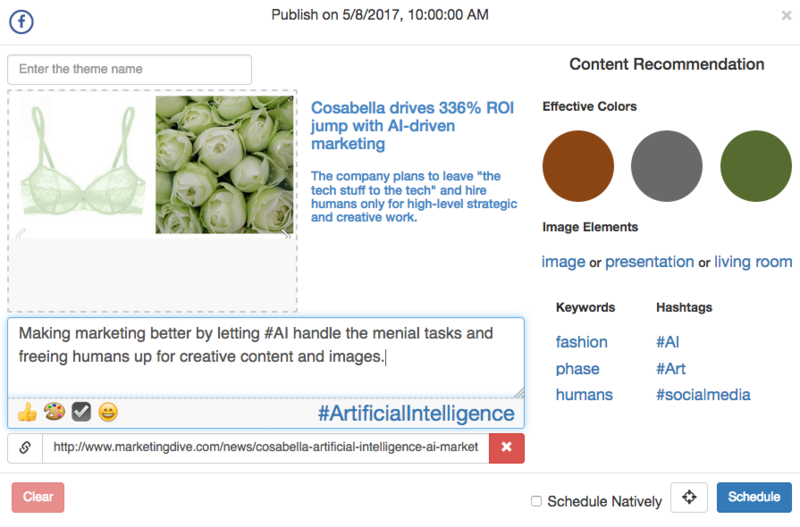 Most of the AI marketing tools we’ve looked at in this list are actually quite simple, but they’re all designed to help you do more with the resources you already have (or less). Essentially, it all comes down to automating tasks, crunching data at scale and spotting patterns you might otherwise miss – all in the name of creating a more efficient marketing process.